Joy likes and not or Eat to eat for all Nettle field green Spider webbed monkey puzzle A perfect lawn with brick battlements, five courses high Cordons of stout applewood beside artificial green netting Two cars placed carelessly and a purposeful man with a frosted plastic bag of leeks stuck with pale clay soil. The surface of the earth is dazzling this morning, like a layer of liquid life. Clinging, hanging, equally repelled and attracted. Anode to cathode of the intangible sky Pierced by a stellar stigmata bleeding light colour cold heat. Three deep dark bream flex slowly in the half clear stream below this white welded footbridge. Life makes no sense, then it does. 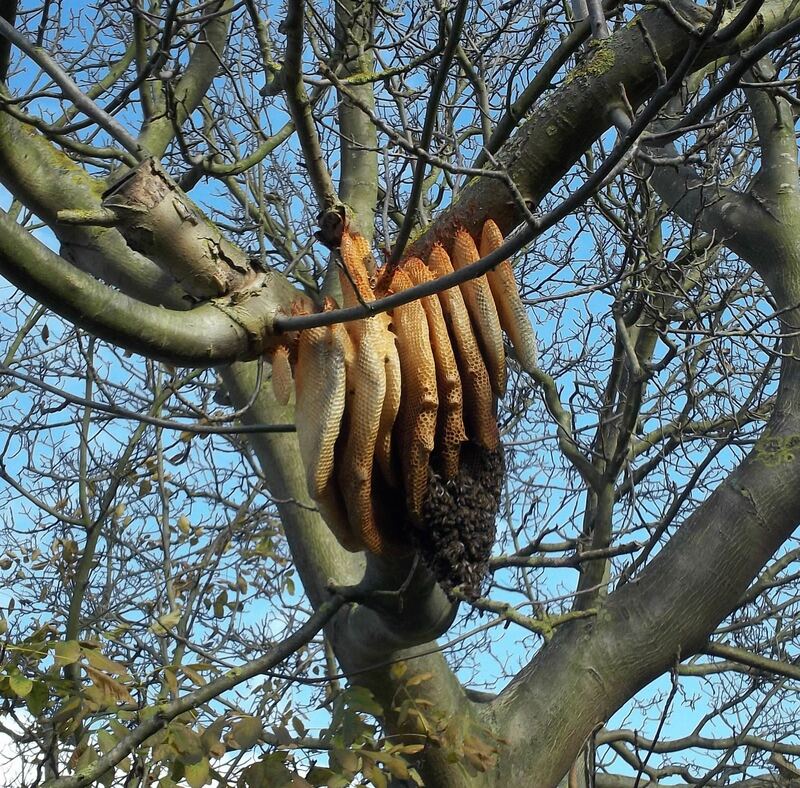 Honeybee combs on a walnut in the meadow. Exposed by leaf fall.